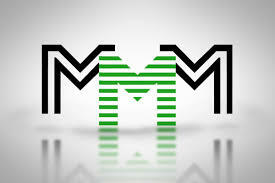 MMM is growing very rapidly, and it sure will, because it is the first and the most accepted way of increasing your investment by 30% guaranteed. Thus I thought of sharing with you, (already or prospective MMM member/participant) these 10 rule of MMM that will make you not to violate their policies, because the penalty is really grievous. So read carefully. Do are not allowed to have multiple account. But you do not even need multiple account because you can be able to PH as many times as you want with just your one MMM account. Penalty: All the accounts will be permanently blocked, and you will be banned from the community. Do not share email or bank details with other members. Penalty: You will be block from getting help (GH) until you give proof of identity. Do not delay in paying for your order (PH). Penalty: You will be blocked from the community. Do not edit your banking details or change password less than 15 days before getting help (GH). Penalty: Your GH will be delayed for 14 days. Do not click on the "I refuse to make payment" button for more than once a month. Penalty: You will be blocked from the MMM community. Do not make deposit and then fail to attach proof of payment when you PH. Penalty: You might be blocked from the community. Do not fail to confirm the payment when you GH. Family members are not allowed to PH more than the guilder of the Family, so if a member want to PH more than you (the guilder) tell them to do it through your PO. Always write your Letter of Happiness after every GH. The maximum days to write it is 3 days of GH. Do not use VPN service when accessing your PO, if you do MMM system will think you a fraud. Penalty: You account might be suspended until proof of identity is provided. These rule are not restrictive, they are geared to protecting MMM community and its participant. Remember MMMis solely based on trust and honesty to all participants. Together we will Change The World financial status with MMM. You can also attach your WhatsApp number.